I have been searching high and low for some sort of mobile that didn't look cheap, or something that was remotely nice, without ending up being a zillion dollars. 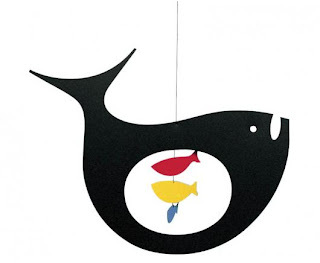 I wanted the simplicity of a mobile to hang from the ceiling and not connected over the crib. The crib we bought actually has a canopy, but that will be for another post. 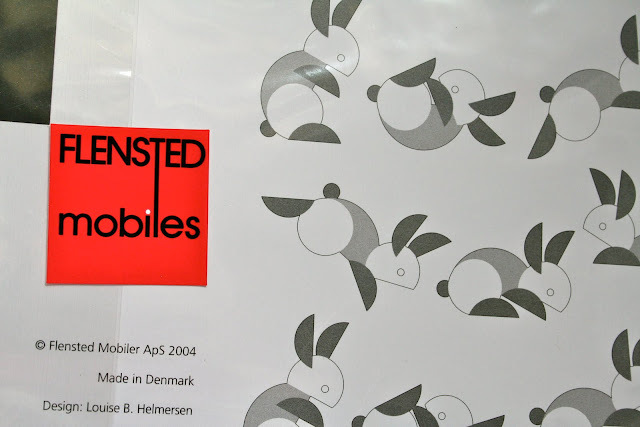 It's weird how all the things I am finding happen to be designed in Scandinavia, as these Flensted Mobiles were handmade in Denmark! I kept these mobile beauties on my wish list for some time, and I finally got to witness them hanging in a store in Stratford a couple of weekends ago. I screamed "Flensted Mobiles!" (not really screamed) out of pure excitement. The saleslady said they just got them in and hung them up. 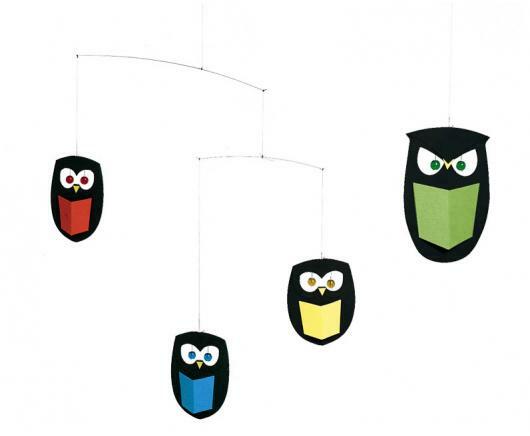 These mobiles are so lightweight, they are in constant motion with any breeze and are quite serene. They come in very simple colours that babies can enjoy and shades they can process as newborns. They also have an array of designs on their website as well. I asked a couple of sales associates if they carried the "Circular Bunnies". They thought I was crazy, until they pulled out the product book, found them, and said they could get them in - but didn't know when. It's one of my favourite "walk in" stores, but the impatient girl that I am, I was on a mission to find them someplace else! Fortunately I found them online, in Canada - and free shipping from my new favourite Canadian website Babybot.com. The whole package of their website is amazing and the parcel you receive comes with a super cute beaver sticker. I can't wait to purchase from them again, they were so awesome! 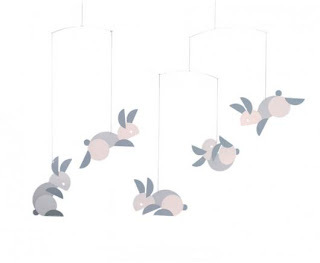 I found my grey-toned "Circular Bunnies" and it was $30 on the site and free shipping which I thought was an awesome deal. Here is a link where to buy a lot of the Flensted collection! You'll fall in love and so will your baby! Amazing post Elle! 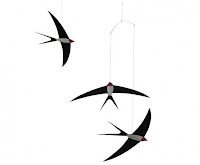 These mobiles are amazing - there is nothing else out there like them. And, thank you for the shout out for Babybot! We are so honoured to have someone with your taste and style as a fan of Babybot! 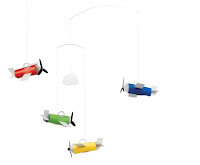 Love these mobiles. I like them because they are not the "typical" mobile but more of a decoration yet fullfilling the same purpose as the traditional mobiles. Anonymous! They are not the typical mobile but simplistic while being so beautiful and classy! Glad you like Babybot too! Mandiemoon! Flensted also has the postcard mobile where you can customize the pictures hanging! They have different collections and one contains a bee, but they have sooo many cute postcard collections that you have to check out! You could even get the Flensted postcard mobile and make your own bumblebee creations! We bought our mobiles at the Peggy Guggenheim Collection Book Shop in Venice, Italy. We bought several to give as gifts (they were easy to pack away in our suitcases) and were sorry we didn't buy more!